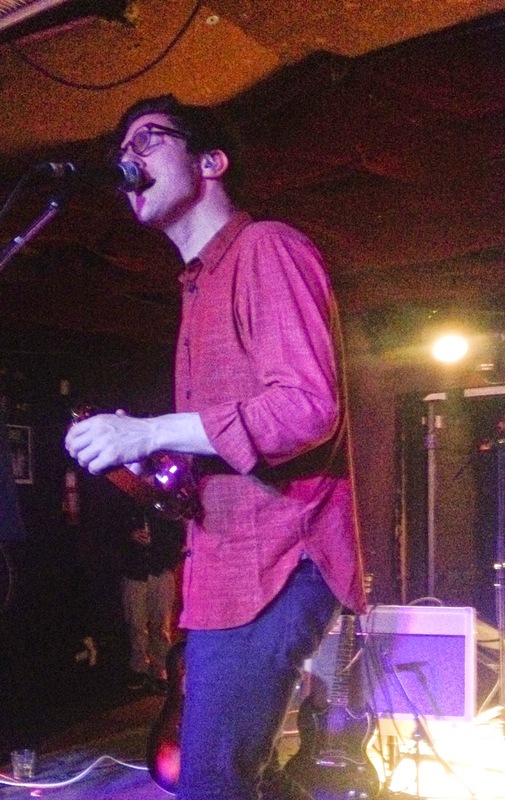 Megan Elvrum: The Music Maven's Music Monday #5: Dan Croll LIVE! The Music Maven's Music Monday #5: Dan Croll LIVE! 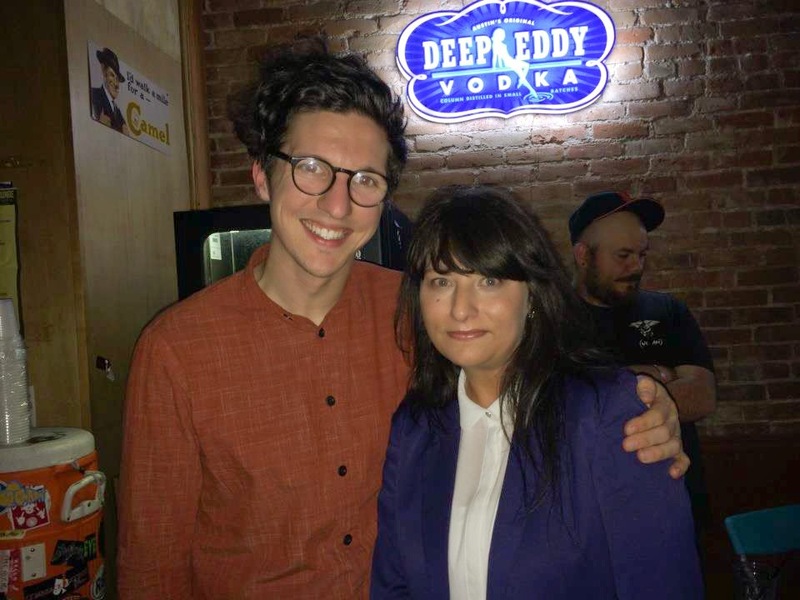 So, if you’re an avid reader of The Nerdy Girlie and my Music Maven posts you’ve probably figured out that I’m a huge fan of the UK’s Dan Croll. I’ve shared his videos and Soundcloud page before. His debut album Sweet Disarray came out last Tuesday and I’ve been listening to it non-stop. The album should’ve came with a warning because it’s like music crack – highly addictive. It’s heavy on African rhythms, interesting guitar grooves, funky bass lines, beautiful harmonies, and lyrics that are playful and moving. Dan Croll at the Larimer Lounge. Photo courtesy of The Gamer Geek. Last Thursday night I finally got to see Dan Croll live. It was so good to see/hear him and his backing band in the flesh after watching their videos on YouTube. I always say live music is where it’s at, but for Dan Croll and company this is especially true – they are incredibly gifted performers. I started off the evening by getting into trouble with the band. They were placing setlists around the stage and, as per my usual; I took a picture of one of the setlists. I take a quick picture when I can because it helps me remember the setlist – I’m old and so is my memory. Before I knew it they were moving it and shaking their fingers at me – playfully, but I was still quite embarrassed. Anyway, the show was great. They played to a packed house and Dan Croll mentioned that he was genuinely surprised and happy to see how many people were in attendance. I’m so glad that Colorado showed him some love. He played almost every single song off his new album and I noticed a lot of people in the crowd singing along – clearly I’m not the only one listening to this album on repeat. The highlight of the show was when Dan announced that they were going to play Maway – my favorite track on the album. I let out a very enthusiastic scream, which must’ve been louder than anyone else in the place, because he looked surprised that I was so happy about it. He proceeded to look and point at me and say “this one is for you.” I had a slight case of heart failure in that moment – not only was I seeing an artist that I’d been longing to see and now he just spoke to me from the stage. Needless to say Maway will forever be my favorite Dan Croll song. I knew that on this night I didn’t want anything coming between myself and the music, so The Gamer Geek and my friend, Oswaldo, took pictures and video for me. Huge thanks to them for letting me savor every moment of the show. After the show I had the opportunity to meet Dan Croll. I was SO excited to meet him and tell him how much I’ve enjoyed his music. We had a short chat and I told him that next time we see him he’ll be playing a much bigger venue. He said he loved the small venues like we were in, but I had to break it to him that those days won’t last very long. He was so gracious and it was one of those moments where you’re so happy to know the artist that you enjoy so much is also a genuinely nice person. I truly can’t wait ‘til I can see Dan Croll again – hopefully sooner than later. The most wonderful Dan Croll. I was a little star struck. Dan Croll is on tour now – you can find tour dates at www.dancroll.com. Music worth nerding out over! New music to add to my list! Enjoy! Enjoy!!!!!!!! His album has been on repeat since it came out. He's beyond talented!